Soho Road station opened in 1889, a year after the line was opened to goods traffic, under the LNWR on a new stretch of track laid to provide a useful link between the LNWR's New Street to Wolverhampton High Level and their New Street to Walsall lines. 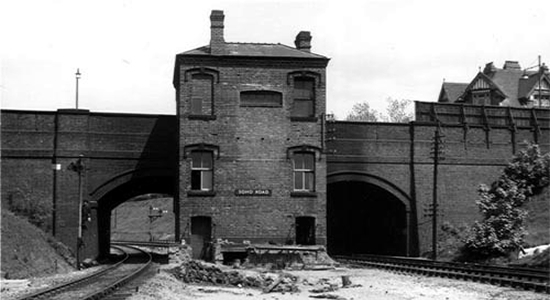 Primarily envisaged for goods traffic, especially for servicing the coal mines around Perry Barr and Hamstead, the two passenger stations added - Soho Road and Handsworth Wood - were not the greatest of 'hits' with the public and closed during World War 2 never to re-open. Above we see the station from platform level after closure with the rather imposing booking hall stretching-up to the Soho Road above during the late 1950s (Photo by D.J.Norton courtesy of Mark Norton - see Links). 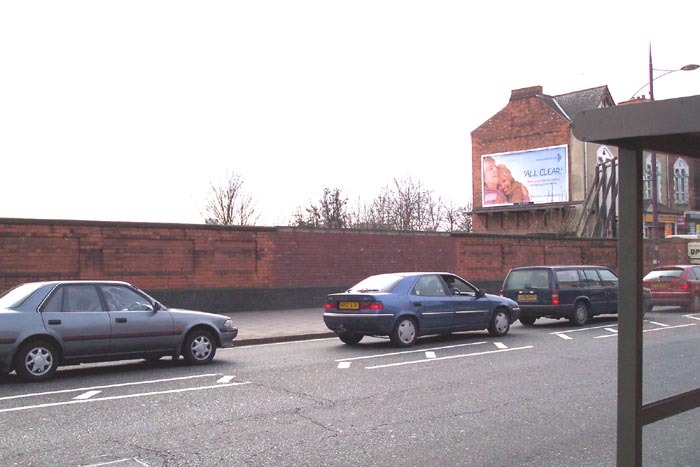 There is scant evidence today to mark Soho Road station's existence (and scant examples of photographs of the station) however, the most visible sign is shown above in which we are on the Soho Road looking across to the site of the station booking hall/entrance building. 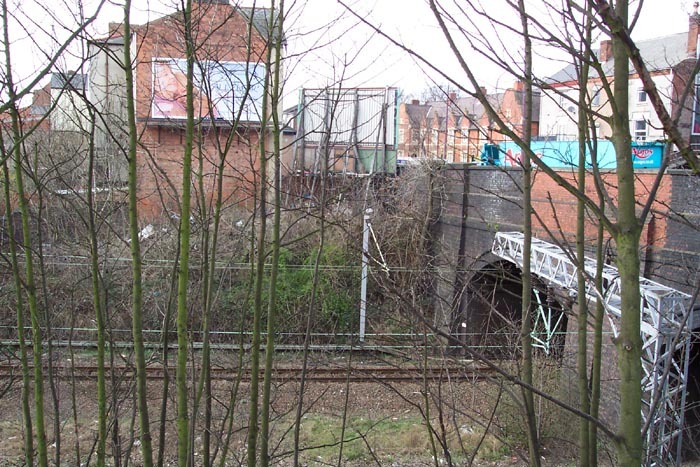 The section of walling in the centre of the shot is not of the same construction as the rest of the bridge parapet which indicates it was built to fill the gap left by the removal of the station building. Unfortunately, the site of the station is very inaccessible and so the only chance for a shot of the trackbed comes from the edge of the car park next to Soho Road Social Security offices. Above-right	we are looking down at the station site from this vantage point but, as can be seen, there appear to be no remnants at track-level.